Get your tickets at webtickets check our monthly roaster & buy your tickets online & selected outlets. 1. Buy your festival tickets from trusted sources. Get tickets at the festival’s box office or official sellers such as Ticketmaster. Where you buy matters and it can make the difference between sitting out and getting in on the action. 2. Avoid buying tickets from unofficial sites. Ticket fraud is real, and there’s significant risk whenever you buy from online auction sites, classified sites, forums, and other ticket resale sites that aren’t legit. Check with the festival or the official festival site to see who’s an approved ticket seller. With anyone else, you’re taking a huge gamble on even getting in. 3. Never buy tickets or wristbands from scalpers on the street or near the festival.It’s a big risk because there’s absolutely no way to know what you’re getting from scalpers. You could end up with fake – or even stolen – tickets or wristbands. Resist the temptation! 4. Don’t post pics of your tix or wristbands online. You can still tell the world you’re going – just don’t share a picture of your tickets because people can use the pictures to make fakes. 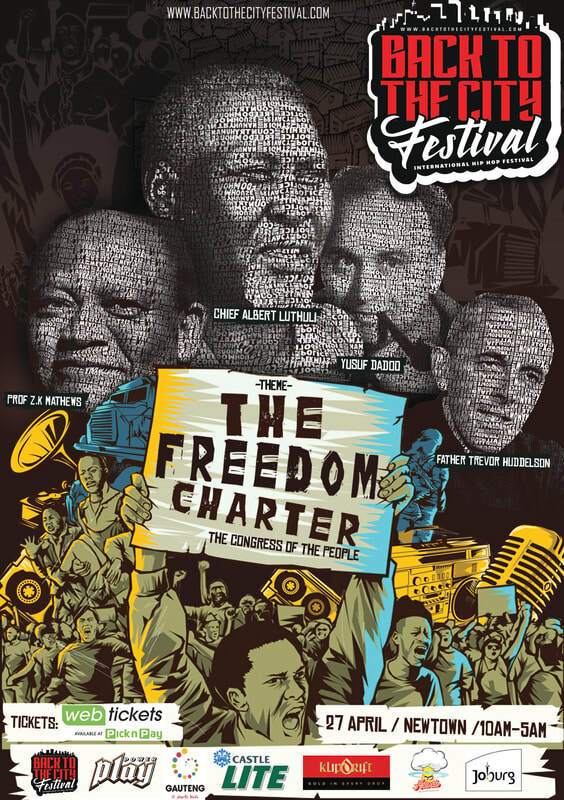 Freedom day of Autumn 2019 will bring in the 13th Annual Back to the City International Festival taking place on 27 April 2019, Mary Fitzgerald Square Newtown, Johannesburg from 10am till 5am. 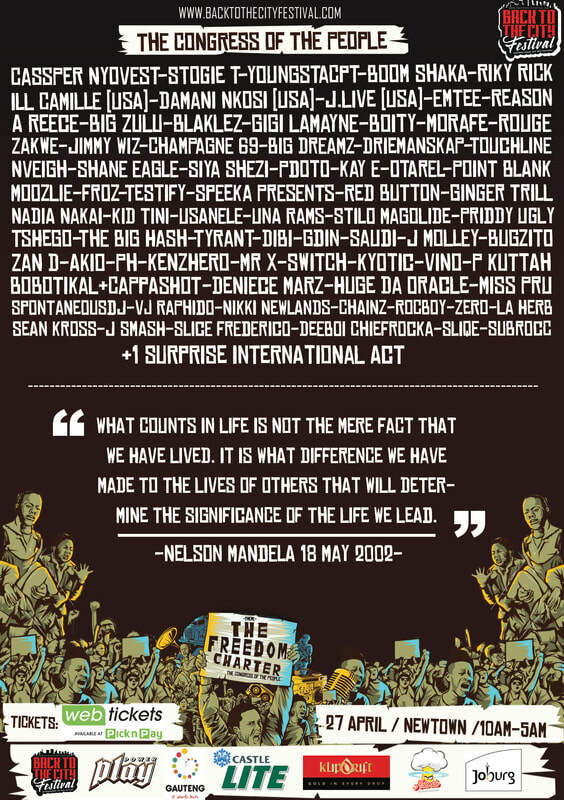 Featuring 60 ARTISTS, 30 DJS, GRAFFITI ARTISTS, BREAKDANCERS, BMX, SKATERS, , FREESTLYE, FOOD & CLOTHING STALLS all representing the pinnacle of artistic expression from South Africa and a surprise international act. Join us as we celebrate 13 years in the game!